Traveling abroad alone can be intimidating sometimes, especially for first-time travelers. But in the name of freedom, start your travel bucket list and plan on traveling to the top 5 places to visit solo in 2017. Travel expert Lesley Murphy tells Vogue that Thailand should be at the top of your list. It's the best destination for backpackers, and for first-time visitors, Bangkok is a must, as it is known for its temples and other historic spots. The Asian kingdom opened its borders to foreign tourism in 1974, but in order to keep traffic down they have a 'High Value. Low Impact' policy. All U.S. tourists must obtain a visa and book their holiday through a Bhutanese tour operator. Visitors must have $200-250 per day to visit, which includes a tour guide, meals, accommodations and gear. It is also tricky to physically get to Bhutan. Only two carriers fly into the country, Drukair and Bhutan Airlines, and you must connect from another Asian country like Thailand, India or Singapore. Belarus makes it difficult to Americans to visit. You need a letter of invitation from a company or organization in Belarus. You need to fill out an application that needs approval. The payment to enter Belarus was reduced in 2015, but it is still $70 for single entry. This is down from a whopping $160. These daunting requirements make the former Soviet state one of least visited places in Europe. Russia also has a laundry list of requirements that turn off American travelers. You must list all areas in Russia that you intend to visit on your visa application and carry your passport and migration card with you at all times. You must have a Russia-based sponsor, such as a tour group or hotel, in order to get a visa. The Russian visa application is notorious for its long list of questions, including a list all the countries you have visited in the last 10 years. The visa will also cost you $198. It goes without saying that the Kermit kingdom is difficult for Americans to visit. The United States is a focus of hateful propaganda and tourists are at risk of long-term detention and imprisonment. Americans can legally travel to North Korea, but the State Department strongly urges U.S. citizens to avoid all travel to North Korea. However, if you must go, there are tour groups that leave out of China. Despite sporting an eccentric dictator who draws comparisons to Kim Jong Un, this country is lesser known to Americans. Travel to the country is not forbidden, but you need a letter of invitation certified by the government of Turkmenistan and a tourist visa that you need to schedule an interview for. Very few tourists visit the nation, perhaps because they are turned off by the fact that they are required to have a guide, which can be costly. There are also no travel zones, mainly the border areas next to Iran, Uzbekistan and Afghanistan. Not only does State Department urge caution when traveling to Saudi Arabia due to high terrorism risk from ISIS right now, but women and children must be accompanied by a male family member. U.S. citizens need to fill out a visa application that costs $110. The country has been known to deny visas to non-Muslim applicants, and holders of passports with Israeli stamps or travelers with an Israeli birthplace have been refused entry. Saudi Arabia is not the only country known to give tourists with Israeli stamps a hard time, so Israel changed their policy to give tourists an entry card instead. There is a high-risk of terrorism, armed conflict, violent crime and kidnapping if you are an American. Even family members of U.S. embassy personnel are not allowed to reside in Sudan if they are under 21. Similar to Saudi Arabia, the authorities may refuse entry to holders of passports that contain visas for Israel. This beautiful little island country is not stricken by war or run by a dictator, but it is really, really hard to get to. There is only one direct flight from the United States that leaves from Hawaii, and it is going to cost at least $1,600. The Chinese government will make you jump through hoops to get a visa. You have to submit your application to a Chinese embassy or consulate based on your state and then pick it up. There are only six locations that serve the entire United States. They do not accept mail-in visa applications, so you'd need to find a friend or visa service to drop it off and pick it up if you are far from a spot. Luckily, the government has a rule that allows visitors without visas to stay within mainland China for 72 hours. Only about 1,600 tourists visit Tuvalu each year and hardly any from the United States. Only 12 consulates in the world offer tourist visas to this tiny country, home to less than 9,000 people, making it the world's second smallest country. There is also only one flight that services it. Second is Canada, a popular post-election getaway choice for many Americans. 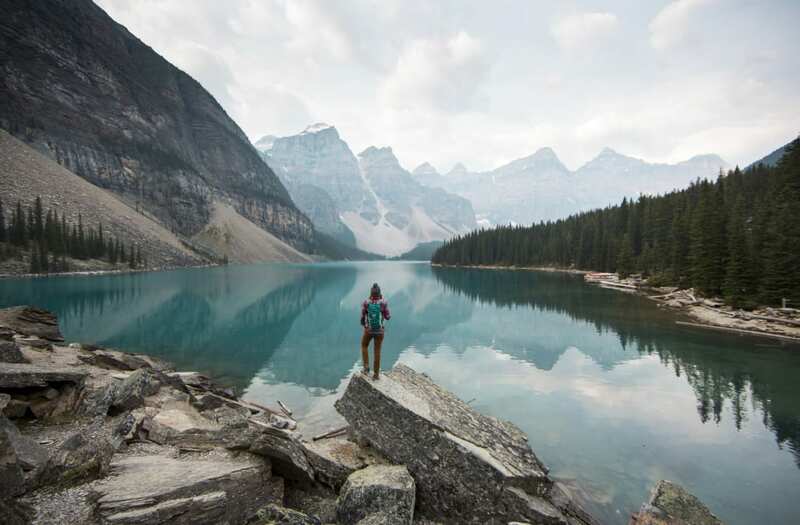 2017 will mark its 150th anniversary as a nation, which will give everyone free access into Canadian national parks. Also, South Korea will become more tourist-friendly as it gears up to host the 2018 Winter Olympics. 2017 is the perfect time to beat the rush. And its cherry blossom and other natural sights are to die for. There's also Colombia with its great cultural festivals, and France with its wine-tastings in the wine-growing region Bordeaux. So add on to your list of New Year's resolutions for 2017 and plan your sweet solo escape!